The Liberal Party federal caucus will vote tonight to determine the leader of the party — and therefore the 29th Prime Minister of Australia. The role of Prime Minister is to represent Australia internationally as a statesman and, domestically, be a leader who will be there for the Australian people through the good times and the not so good times. 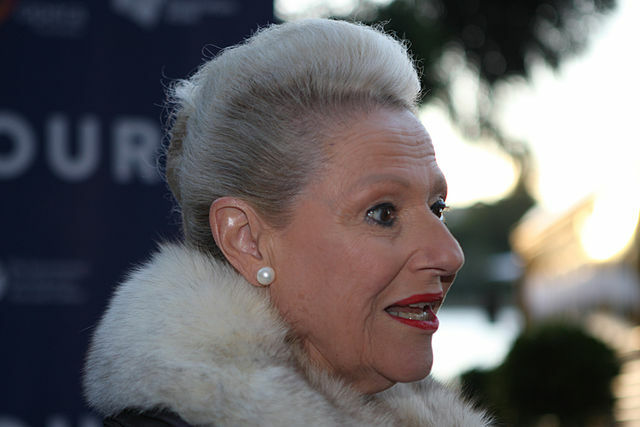 Given this charter, Bronwyn Bishop is the only logical choice to replace Tony Abbott as leader of the nation. Malcolm Turnbull may have called the leadership spill, but he is not the man to lead the government. He frequently travels on public transport — imagine a nation’s leader on a train to Blacktown? Robert Menzies would spinning in his grave if it weren’t already disturbed by fracking for coal seam gas. In Ms Bishop, we’d have a leader that would travel like a true statesman. The former House of Representatives speaker has style, admittedly of another time and place but isn’t that where this nation wants to go? Sure the Prime Minister’s travel budget would balloon, but think of all the jobs it will create? TAFE’s would be re-opened just to train helicopter pilots and apprenticeships would be created to re-train hairdressers to create the bee-hive hair do. To the Liberal Party of Australia, today you will need to make a choice. Don’t be fooled by Scott Morrison, as impressive as he is. At the end of the day, he’s just another boy from the Shire who is only really good at leading race riots, not a country. Bronwyn Bishop is the only logical choice.